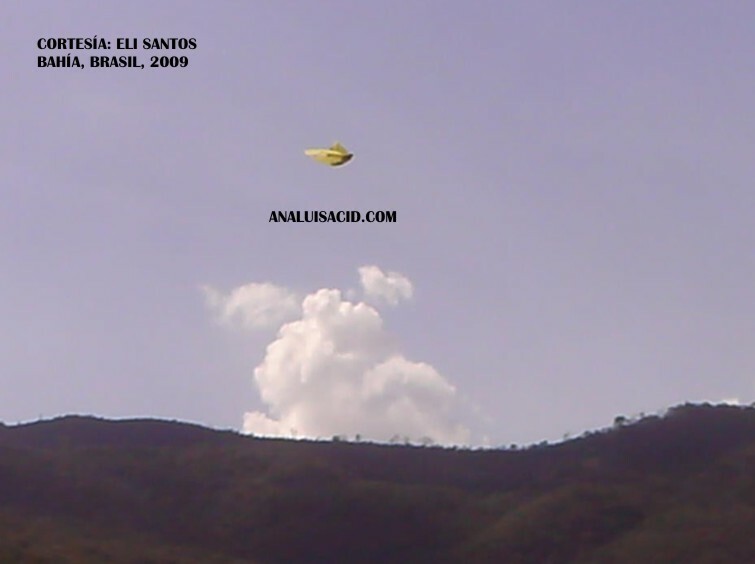 "This photo was sent to me by Eli da Conceição Santos. 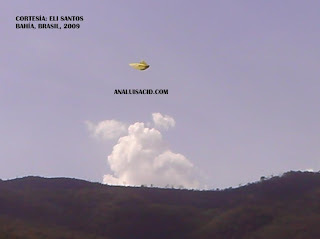 She tells me it was taken by a friend of hers in early October 2009 on the road to Bahía (Brazil). The witness stopped the car to take photos of the landscape, but the camera kept shutting off. Three attemtps were made, all of them unsuccessful. She resumed her journey. 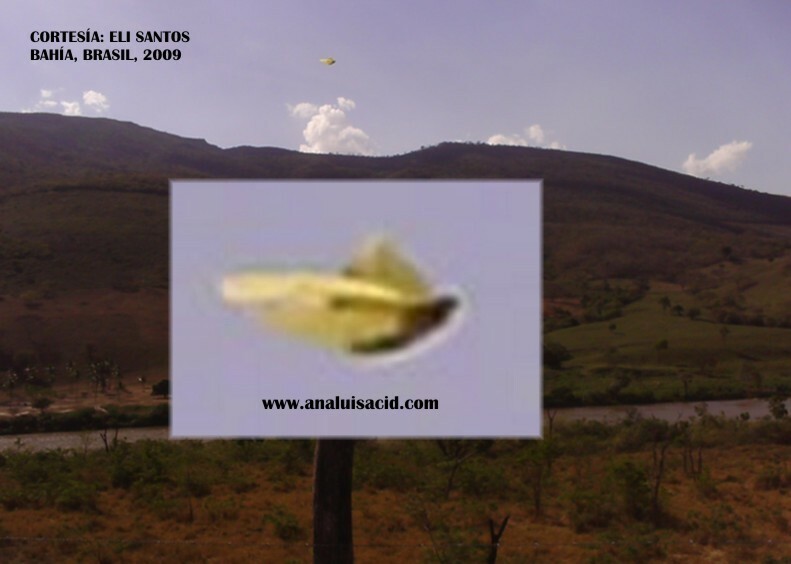 "Upon returning home, she was amazed to see that a photo had in fact been taken of the landscape, displaying a yellow object in the sky. 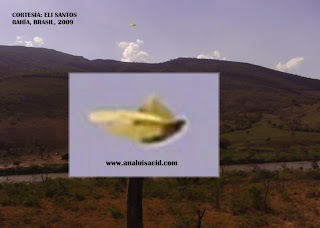 "Everything points to the image being genuine, perhaps even a "chance" UFO, until its nature can be determined by an analysis of the original." Many thanks to Ana Luisa for providing us with this photo!